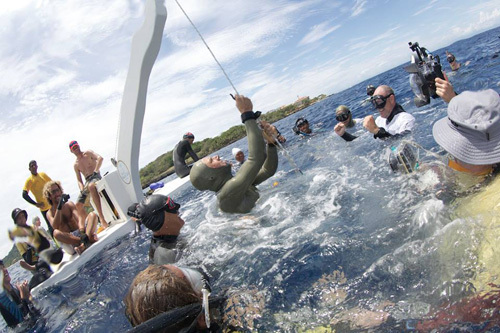 Since its inception in 2013, the Caribbean Cup has become one of the most important freediving competitions in the world. World- and National Champions from countries in the 5 continents, high-level safety teams and distinguished international judges participate in this exciting competition, held at one of the most appropriate venues on the planet. Free Immersion (FIM), Constant Weight with Fins (CWT), and Constant Weight Without Fins (CNF) are the three disciplines in which athletes try to reach greater depths while holding their breath.